Inside a cabin tucked away in the Oregon woods a grisly scene awaits investigating police. 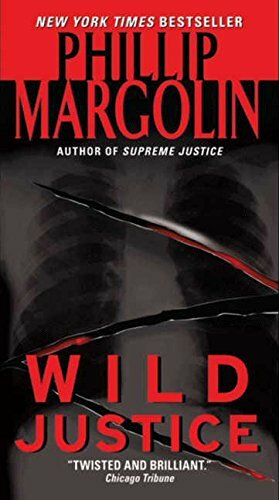 Arrested soon after for the heinous crime, Vincent Cardoni—a brilliant surgeon with a history of violence and drug abuse—hires Portland's top attorney, Frank Jaffe, to defend him against a seemingly insurmountable pile of evidence. Jaffe's daughter, Amanda—a young lawyer getting her first taste of criminal defense—wonders whether she's representing an innocent man or using her considerable skills to set a monster free. Then Cardoni disappears under bizarre circumstances. Four years later the slaughter begins again. But is it Cardoni plying his gruesome trade, or the work of another equally brilliant, equally inspired killer? And can Amanda and policeman Bobby Vasquez hunt the elusive maniac down before they themselves fall victim to a psychopath's terrible hunger?